You could be forgiven for thinking that this is not a new article, it echoes what we have been writing throughout December and January. But for readers outside the UK these are new issues that do not seem to be going away – instead it’s on the increase. Several flood events throughout December and January caused by battering winds and relentless rain have transformed parts of Southeast England to a disaster zone and directed criticism towards the UK government for not doing enough. And in this latest installment of battering winds and relentless ongoing rain, the county of Somerset has been left in pure devastation. 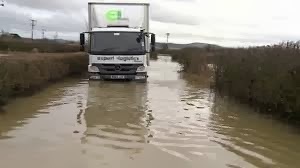 Somerset is the worst affected area with fields destroyed by flooding and farmers left heartbroken by economic hardship, which these extreme weather events have created. It has left them wondering how they can beat it and in some cases, people asking themselves if their business can even be salvaged. Local people are directing their anger against the government, who are now finally putting this issue at center stage, as Prime Minister David Cameron is taking this into his own hands and has chaired several cobra meetings, but people affected and NGO’s are saying that the government are acting too little, too late. At the moment there seems no end in sight, as weather forecasters are saying more rain is on the way, prompting calls that the UK must do more to mitigate. 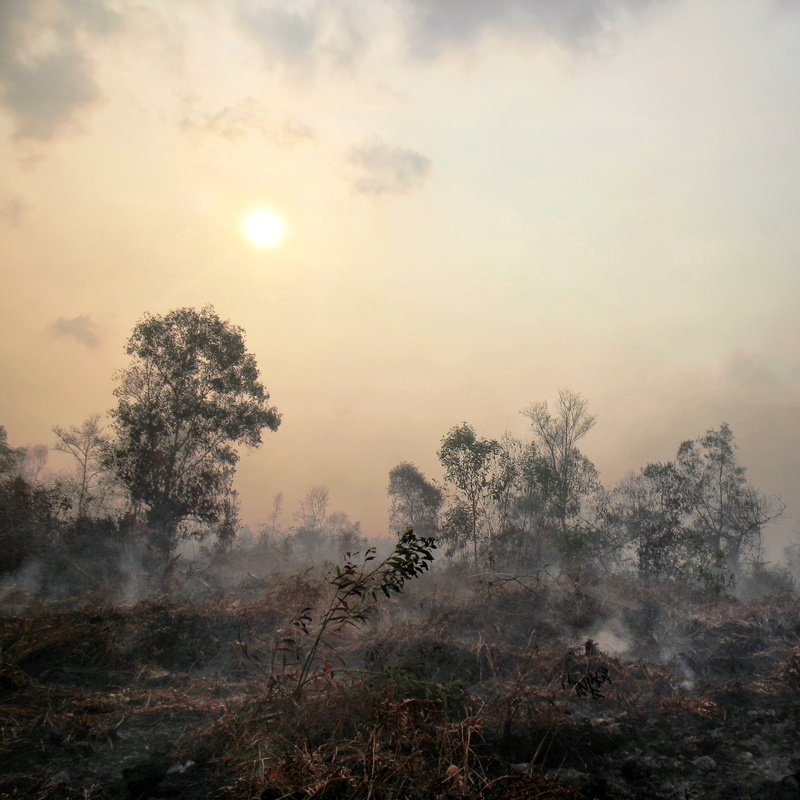 Scientists have for years claimed that the UK is likely to see an increase in wetter weather as an impact of climate change, but the government have largely ignored recommendations by experts of how to mitigate to climate impacts with the Environment Minister Owen Patterson, a climate sceptic, prioritising criticizing wind turbines and culling badgers. Some of the anger being expressed by local people is at the failure to dredge rivers, which used to happen, but according to local people have stopped. The Environment Agency says that this is part of the solution, but that we would only deal with 10% of damages by dredging, saying that we really need to address climate change as a whole, as this is the kind of weather we know will become more extreme with climate change impacts, going further the agency are urging people not to build on floodplains. 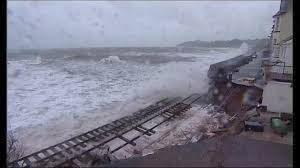 One of the most iconic images (see above) of this round of floods is of a coastal train line which has been destroyed by the floods and gales. Calls have been made for this to be a wake up call and conduct practical future planning addressing climate change.